There are so many great Cape Cod attractions to see on your next trip. Some are famous, some not-so famous. Some are free, some come with a small charge. Whether you like to spend time outdoors or inside, there are many Cape Cod attractions you won't want to miss. What I like to do is plan to see indoor attractions on days when it is supposed to rain. That way, I don't feel I am missing a great beach day. 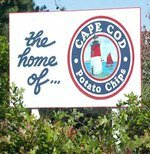 In my opinion, the best potato chips in the world come from Cape Cod. I used to fill up on these during our vacations to the Cape because I couldn't find them back in Ottawa, Ontario. Now, there is a local butcher store (of all places...) that sells them only blocks from my house. 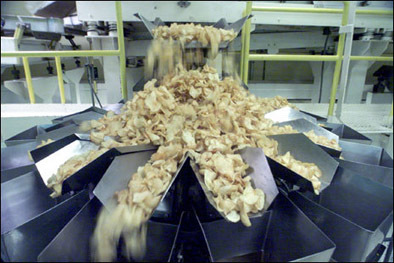 The Cape Cod Potato Chip factory is one of the area's top tourist destinations with over 250,000 visitors every year! At this Cape Cod attraction, find out how the Bernard family cranks out their own batches of hand-stirred kettle-cooked potato chips. Free self-guided factory tours are held Monday through Friday from 9 a.m. to 5 p.m. Closed weekends and holidays. Directions: From Route 6 East, take exit 6 and turn right onto Route 132. Take a left at the 6th light onto Independence Drive. Take your second right onto Breed's Hill Road. Cape Cod Potato Chips is on your left. Follow signs for the Factory Tour. If you're like me and enjoy a nice glass of wine on occasion, then your won't want to miss a tour of a real winery at the Truro Vineyards. Many tourists don't realize that you can actually make wine on Cape Cod and many tourists have not even heard of this Cape Cod attraction. Cape Cod's warm ocean breezes, well drained sandy soils and extended growing season, all combine to produce grapes with intense flavour and lush varietal character. 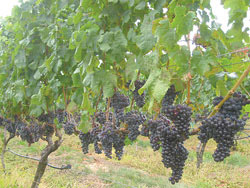 Once the crop is harvested and fermented, the wines are aged up to 18 months in oak barrels, acquiring a great flavour. 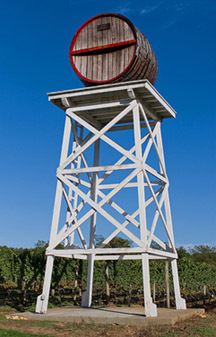 You can see the 19th century wine cask tower of this Cape Cod attraction from Route 6 as you approach Truro. On the property, there is also an 1836 Federal-style farmhouse which offers accommodations in a romantic setting. Visitors are treated to a tour through the barns and antique wine making displays. Wine tastings and live jazz concerts are featured throughout the summer and beautiful picnic grounds are also available. Take Route 6 to where it turns onto 6Ain North Truro. Take 6A and turn right onto Shore Rd. The Cape Cod Museum of Natural History in Brewster, is a great Cape Cod attraction for kids and adults alike. The museum is housed in a 17,000 square foot building on its own 80-acre site. There are two floors of exhibits about the flora and fauna of Cape Cod, including exhibits on whales, indigenous birds, and coastal change, and several aquaria holding different species of crustaceans, mollusks, fish, frogs, turtles and snakes. 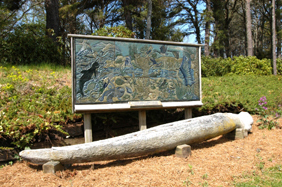 Several displays are interactive and geared to children. Special, temporary exhibits enhance the permanent collection. 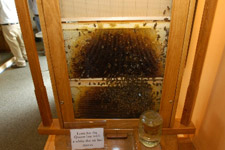 There is even a really cool exhibit on bees and the importance they have on this Earth. I learned that without bees (and they are slowly, mysteriously disappearing), many plants and foods we rely upon would be gone! Outside this Cape Cod attraction, three nature trails meander through woodland, salt marsh and on the shore of Cape Cod Bay. Guided field walks are offered year round, daily in summer. Lectures and workshops on natural history topics are offered year round, and there are special programs for children, as well as school vacation programs to engage them in nature. From Orleans/Eastham area, Route 6 exit 12, turn right (west) onto Route 6A toward Brewster. Proceed 6.1 miles. The Museum is on the right. Parking is available on the left and right. If you want to brush up on your history, then be sure to check out the Pilgrim Monument and Provincetown Museum. These are two Cape Cod attractions you won't want to miss. The Pilgrim Monument was made to commemorate the Mayflower Pilgrims’ first landing in the New World in Provincetown, in November 1620. Millions of visitors and generations of local residents have admired and climbed the 252 foot granite Pilgrim Monument for almost 100 years. It is a tough climb but is worth it for the fantastic views from the top of this Cape Cod attraction. The Provincetown Museum has expanded its mission to celebrate and explore Provincetown's history, and the important part Provincetown has played in American history for nearly 400 years. Such topics include Provincetown's central fishing and whaling history, as well as the birth of modern theater from this tiny town. Directions: Turn left at the second Provincetown exit (and only traffic light) onto Conwell Street. Continue on Conwell Street for 0.4 miles until its end. Turn right onto Bradford Street. Continue for 0.3 miles. Turn right onto Winslow Street. Proceed up the hill for 0.1 miles. Turn slight right into the parking lot for the Pilgrim Monument and Provincetown Museum. So what do you do on a dreary, rainy day? 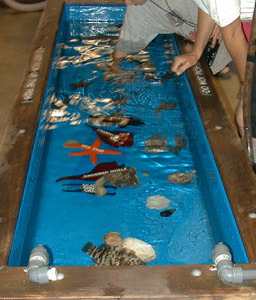 Why not check out a cool Cape Cod attraction where you can actually touch sea creatures! At the Woods Hole Aquarium, you can learn about important conservation work being done, especially with seals and turtles. Exhibits give information about animals, research, and resource management, with focus on local marine life. Kids especially love the "touch tank" at this Cape Cod attraction, where they can reach into tide pools filled with starfish and sea cucumbers. Other displays include sea turtles, lobster and wolffish. Two harbor seals have taken up residence in an outdoor pool and are a star attraction. The aquarium is operated by the Northeast Fisheries Science Center and has free admission however, a donation is recommended and appreciated. Hours: Summer hours are 11-4, Tuesday through Saturday. School-year hours are 11-4, Monday through Friday. The aquarium closes for federal holidays. Directions: From the Woods Hole Bus Station/Steamship Authority: Walk to the left of the "Lee Side" Grill up Luscomb Ave. to Main St., turn left and walk all the way to the end of Main Street (approx. 1/4mile) crossing the drawbridge past the Woods Hole Oceanographic Institution on the left and the Marine Biological Laboratory on the right. The NEFSC Laboratory complex is at the sharp right turn in the road. The aquarium building is on the left just after the turn. Water Wizz is a must for anyone interested in a cool, wet and slippery time. Beat the heat at this popular Cape Cod attraction which is a waterpark featuring numerous rides, slides and pools. It has been rumoured that Adam Sandler is directing his new film in and around Boston called, "Grown Ups." They are supposed to be shooting some scenes with Rob Schneider at this Cape Cod attraction later this summer. Take Route 3 south to the Sagamore Rotary. Pick up Route 6 West, to the Bourne Rotary. Continue 4 miles on 6 West. Water Wizz is on route 6 on your left. At this Cape Cod attraction, you will find numerous nature trails and all the info you could possibly want about Cape Cod birding. Nature Center: Memorial Day to Columbus Day: Daily, 8:30 a.m. to 5 p.m.
Columbus Day to Memorial Day: Tuesday through Sunday, 8:30 a.m. to 5 p.m.
Cape Cod cranberries are simply mouth watering awesome! Many of us enjoy the healthy benefits (high doses of immunity building vitamin C) but don't really think much about where or how they are grown. The majority of cranberry production in the United States happens to take place on Cape Cod. This humble little fruit began its history way back when the Indians first introduced them to the Pilgrims in the early 1600s. The Pilgrims quickly realized the benefits of cranberries and began using them as a remedy against scurvy--similar to the way the English used limes. Colonists called them "crane-berry" because the blossom and stem resembled a crane's head and neck. The name was shortened to cranberry much later on. Cape Cod cranberries are grown in wet bogs. Since cranberries require constant moisture, bogs make a fertile and moist natural habitat for them to grow. Bogs are fed by water that drains from nearby ponds and lakes. Harvesting begins after Labor Day and continues until the end of October. The "wet-pick" method is primarily used to collect the cranberries, which involves flooding the bogs and then using a water wheel that moves through the flooded bogs, beating the water to knock the ripened berries off the vines. After the berries are off the vines, they float to the surface and workers connect miles of yellow tubing, called a boom, which corrals the berries into a conveyor belt. About 75 percent of the berries harvested in Massachusetts are gathered using the water-pick method and are usually sold as sauces, juices, jams and jellies. If you want to learn more about cranberries and harvesting, there are some farms in Southeastern Massachusetts and Cape Cod that you can visit. This online Harvest Trail Guide from the Cape Cod Cranberry Growers' Association tells which ones are open to the public. Can't wait for your next Cape Cod vacation to get some juicy, tart berries? Most grocery stores carry them in the freezer aisle.I have gathered a few winning cranberry recipes over the years. Check them out!